Sony a 5100 is often considered as a budget version of the famous Sony a6000, coming at a lower price with slightly minimalized specifications and features. On the other hand, Samsung NX500 is a popular model from Samsung’s smart mirrorless digital camera series, boasting a very powerful image sensor and smart connectivity features. Well, Samsung NX500 is quite significantly pricier than Sony a5100. 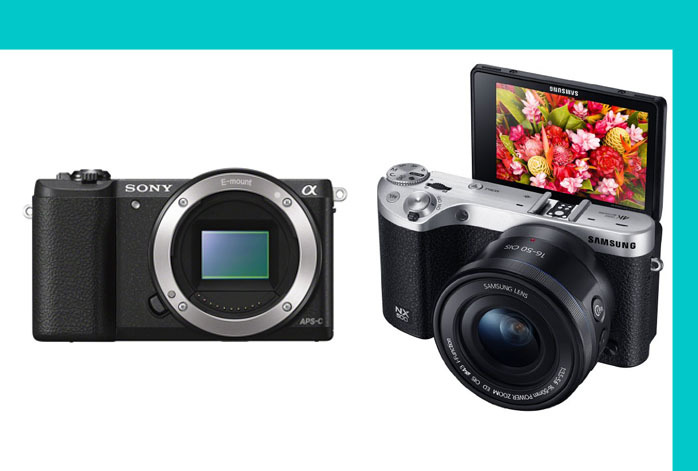 Are you wondering which is the one that has the better value between these two mirrorless digital cameras? Well, read on to find out. From the image quality point of view, we must admit that Sony a5100 is pale in comparison to Samsung NX500. Not that Sony a5100 is a bad product, but its 24 MP image sensor, 179 focus points, and 25,600 maximum ISO are simply inferior to Samsung NX500’s 28 MP image sensor, 209 focus points, and 51,200 maximum ISO. Both products actually have very powerful and reliable autofocus systems. Both Sony a5100 and Samsung NX500 are able to focus on various objects, track and detect movements very well. They are also very fast. While the autofocus performance can be similar, Samsung NX500 produces the better images in the end, delivering much sharper details. Samsung NX500 also has slightly better color depth and dynamic range than Sony a5100. For sports photography, we need speeds. Samsung NX500 offers you a maximum shutter speed of 1/6000s and a photo burst of 9 fps. Sony a5100 only has a pretty standard maximum shutter speed of 1/4000s and a photo burst of 6 fps. Even though it is faster, you need to keep in mind that Samsung NX500’s buffer capacity is quite limited, so you can’t capture too many pictures at a time. Its buffer can only take 6 RAW shots or 38 JPEG shots. On the other hand, Sony a5100 can be more reliable with a buffer capacity of 25 RAW shots or 67 JPEG shots. Sony a5100 has a built-in flash, but has no external flash shoe. Samsung NX500 has no built-in flash, but has an external flash shoe. Last but not least, Sony a5100 has a slightly longer battery life and NFC connectivity. - New 28MP Back Side Illuminated APS-C Sensor. In general, Samsung NX500 indeed makes much better pictures and videos than Sony a5100. But you need to make sure if the buffer size is sufficient for you. If not, then Sony a5100 or Sony a6000 can be great alternatives.